"It was an ambush. That’s the only way to describe it. The mother ship appeared out of nowhere, creating a massive shadow over the city. Within seconds, wave after wave of fighters poured out of it, filling the sky." "We're launching the ships we have ready, but they aren't much. Our pilots must fight bravely to defend the planet while we ready the rest of the fleet. Explosions fill the sky, and we've taken some hits, but we won't give up. Will you?" 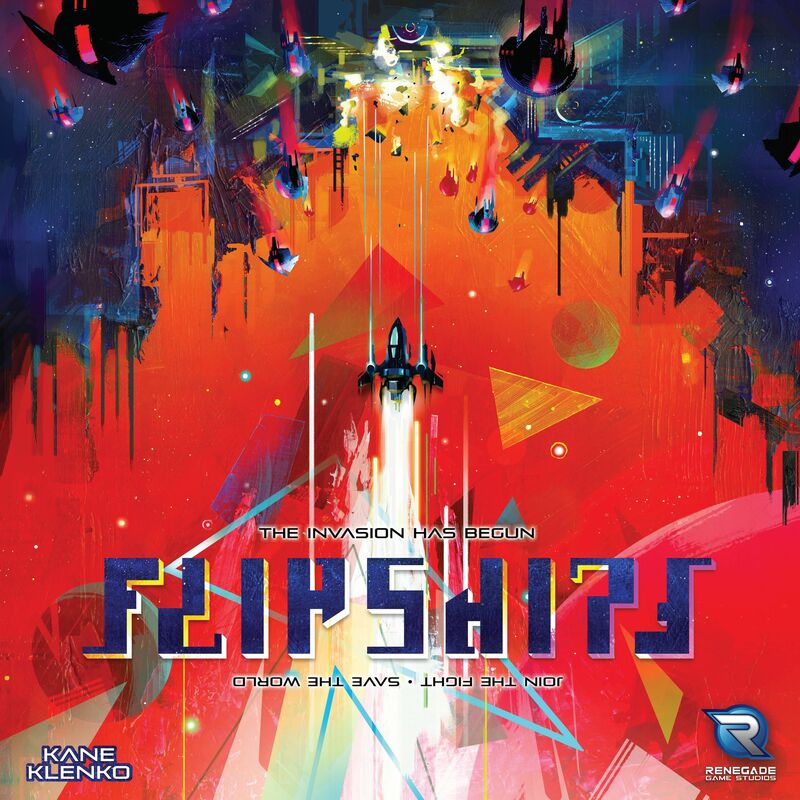 Flip Ships is a cooperative dexterity game in which players take on the roles of brave pilots defending their planet from an onslaught of firepower. Flip your ships to take out the encroaching enemies and to take down the powerful mother ship before it's too late. Wenst u het gezelschapsspel "Flip Ships" aan te kopen?